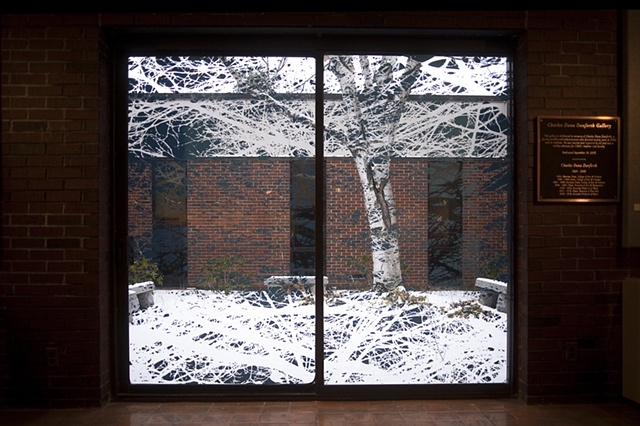 As part of my 2008 solo exhibition at the University of Maine at Augusta, I explored perception as it pertains to light and space. 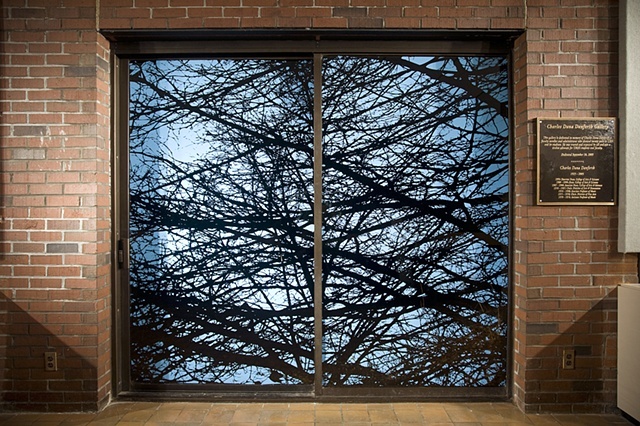 I installed a vinyl graphic image of leafless winter trees on large sliding glass doors. 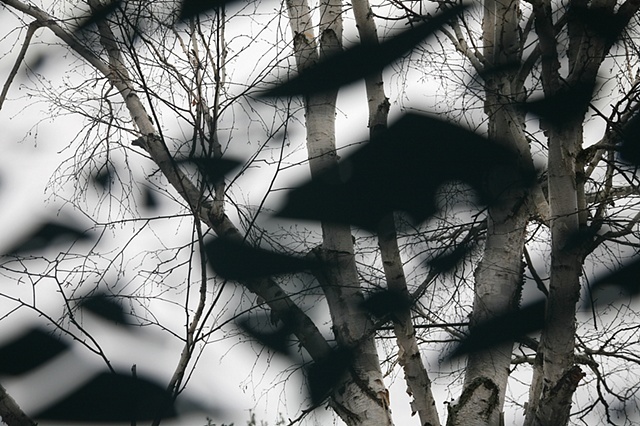 Sited at the juncture where the gallery space opens to a courtyard, “Branches Transposed” shifted with the light during the course of the day. 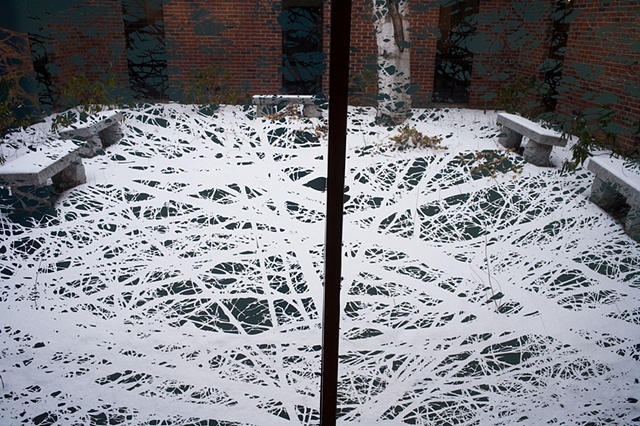 In mid day, the vinyl virtually disappeared as the viewer looked through the “branches” of the image (calligraphic space on glass) to see an actual tree in the outdoor courtyard. 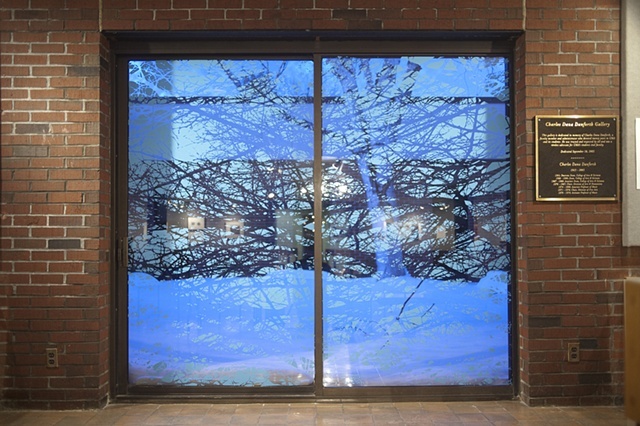 But as darkness fell during the cold Maine winter, the outdoor space became nearly invisible, flattening into mere darkened glass. 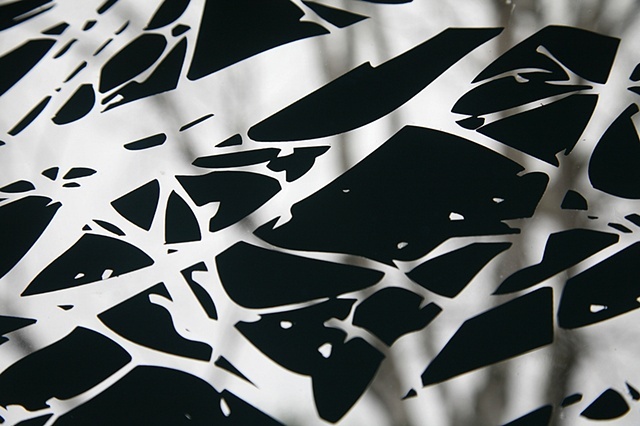 The intermingled lines of the iconic tree design then popped against the image’s blue vinyl “sky”, triggering shifts in perception regarding space, time, reality and representation.